By the time we arrived, the patient’s blood glucose level had been determined to be over 800 mg/dl. 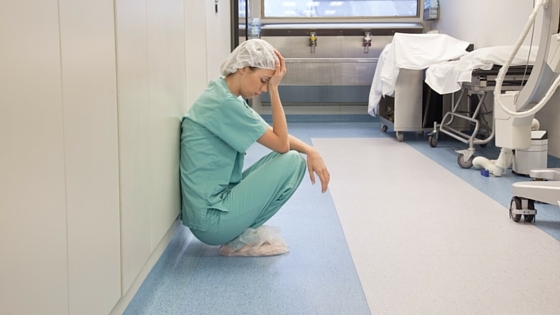 Having been a medical technician in a previous career, I knew that could be life-threatening. The ER team had been working to get the glucose level down. And everyone agreed she needed to be admitted to the hospital. Yet we spent the entire night in the ER. It wasn’t until 6:00 AM the next morning that she was actually transferred to a hospital bed. My point is that the work processes in that ER were broken. I have no doubt of the staff’s intentions. They wanted to give us accurate information and to get our loved one admitted to the hospital quickly. Instead, the bad work processes in the ER could not provide accurate information, did not help the staff prioritize their work, and forced tasks that could have been performed quickly to take hours. Bad work processes drive well-intentioned people to provide misinformation and poor service. Rather than tell us the truth about the reason we had to spend the night in the ER — that they didn’t know, and couldn’t find out — they chose instead to try to be “helpful” by placating us with misinformation. I’ve seen this same scenario play out in many different industries. Our Leaders Ought To Know clients have experienced a CEATH Company experiential workshop called the Factory on a Desk Top™. Participants “work” in a simulated factory building a car out of Lego® bricks. They have to order parts and pay for them, manage inventory, schedule production, and meet customer expectations. There are dozens of processes that, frankly, don’t work very well when the simulation begins. Participants learn that bad work processes drive people, people who know better, to do stupid things. Then they work on improving the processes. Through hands-on learning, participants get up close and personal with the negative consequences of bad work processes. As leaders, we must recognize that work processes have amazingly powerful control over behavior. Smart people with good intentions often perform poorly under the influence of bad work processes. I’m not saying that workers have no responsibility for their own behavior — they do — but bad work processes add a burden that is difficult to overcome. As leaders, it is our responsibility to fix bad work processes and to make sure they incentivize our followers to their best performance, not their worst. If your followers’ performance isn’t living up to your expectations, you may have workers who don’t know what to do (in which case they need training), or choose not to do their jobs (in which case they probably need to find a different job to do). But most often the flaw is in the process. As leaders, that is our job: to first fix bad work processes. What does the process incentivize people to do? In what ways could the process encourage well-meaning people to something that is, from a broader perspective, the wrong thing to do? If I were the one doing this process, without the benefit of my leadership position, what would I honestly be most likely to do? Posted by Martin Ramsay in Productivity & Performance.